Pakistan Youth Congress | Drug Free Pakistan. Pakistan Youth Congress started its mission to change the lives of the youth for the better in 2009, holding annual 4-day residential conferences throughout Pakistan. PYC has become DFPF’s flagship project, enabling young potential leaders unlock their aptitude and play their parts in their community through social action projects. Initially PYC focused on countering Drug Abuse among the youth, but with the passage of time, PYC grew out of the shadow of DFPF and became a movement in its own. The current iteration of PYC focuses on producing Young Human Development Activists, while drug abuse prevention is only a single component of United Nation’s World Programme of Action for Youth. Since the 2nd PYC, the focus has shifted towards the Millennium Development Goals. In the 3rd PYC the concept of Project Development and Management was fully integrated in the congress. From 4th PYC onwards concept of Human Rights Activism was also integrated and in 6th and 7th PYC the Sustainable Development Goals, Peace and Literary Activism, became an integral part of PYC’s curriculum. PYC focuses on enriching the individual capital of its participants, training, and educating youth on Life Skills, Peace Education, Human Rights Activism and Skills for Employability. These skills are seldom taught at the tertiary level in the education sector and are completely missing from the primary and secondary levels all together, yet continue to remain an important aspect of professional development in the real world. While learning these skills, PYC graduates simultaneously build an enabling environment and foster the culture of peace and progress and development in their respective areas. Almost every city of Pakistan has been directly or indirectly represented in PYC and we are slowly moving towards increasing the influence of PYC on the regional level. After the completion of 1st PYC, DFPF realized that PYC does not simply come to an end following the 4 day conference, but the energies and potential identified and created at the conference can also be utilized in long-term sustainable developmental goals. 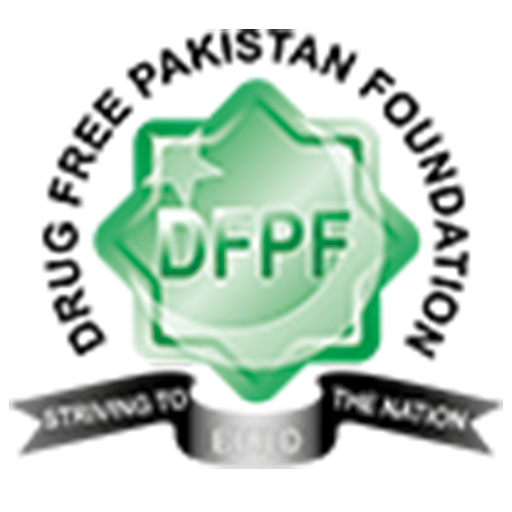 As a result, DFPF introduced the concept of SMART projects, with its primary policy stating that participants are not awarded participation certificates unless they cascade their learning to the greater population via their SMART projects to benefit their communities. These projects are executed all over Pakistan, usually in the regions where groups of participants reside and work together. For the first time in Pakistan, DFPF introduced the concept of Youth Ambassadorship in 2010. After attending the 2nd PYC and completing their SMART Projects, PYC graduates were called upon to attend advance training to accelerate their learning and effectively implement the learning’s of drug prevention initiatives to their communities. The main aim of Youth Ambassadorship training is to train our young trainers and to provide them with a platform for learning and sharing their experiences. Every year, one project is selected from the pool of submitted projects and is awarded the Best Project Award on the basis of their reports mentioning complete requirements of SMART project, follow-up, and sustainability. The best project award gives motivation to other youth ambassadors to work with more diligence for the improvement of Pakistan.